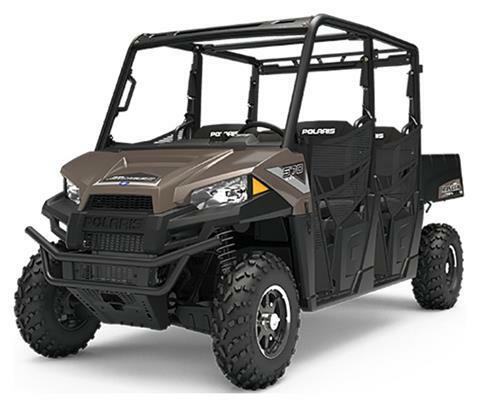 The RANGER CREW® 570-4 delivers the legendary hardest working performance, quality and value you expect, plus refined cab comfort for 4 riders. HAUL MORE TO GET MORE DONE: We all know how important it is to use the right tool for the job. With a massive 1,500 lb. towing capacity, impressive 1,250 lb. of payload capacity, and 500 lb. 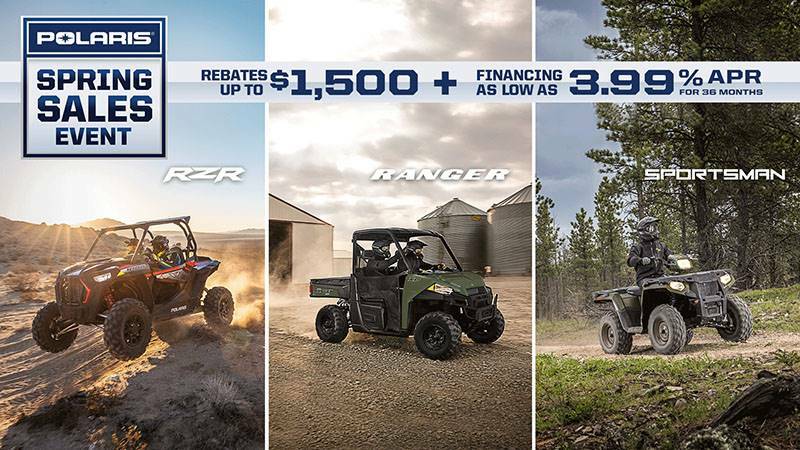 cargo box capacity, the RANGER CREW 570-4 can help you tackle the truly big jobs and get more done in fewer trips. POWER THROUGH THE TOUGHEST JOBS: The powerful ProStar® 570 engine is purpose designed, built and tuned to deliver best-in-class 44 HP. This engine, paired with Electronic Fuel Injection (EFI) and True On-Demand All Wheel Drive, will give you power and traction when you need it through any weather and on any terrain. ONLY THE BEST RIDE AND HANDLING: The RANGER CREW 570-4 handles the trails while you and your passengers experience extreme cab comfort. With 9 in. of up-front suspension travel, 10 in. of independent rear suspension travel and 10 in. of ground clearance, you’re ready to handle any trail obstacle that comes your way. READY TO WORK DAY & NIGHT: The RANGER CREW® 570-4 is designed with powerful headlights so you can work before dawn or after dusk. Utilize these lights to get a head start on the hunt early in the morning. ADJUSTABLE TILT STEERING: Utilize the adjustable tilted steering to easily enter and exit the vehicle. VERSATRAC TURF MODE: Unlocks the rear differential for easier and tighter turns that won’t tear up your yard. STANDARD 2 IN. RECEIVER HITCH: Connect your trailer to your RANGER with the standard 2 in. receiver and maximize the impressive 1,500 lb. towing capacity.